- I know everything about the seven steps of grinding and what they can achieve. Since the first time that I saw a grinded floor, which resembles a hockey rink with a just resurfaced ice, I always try to implement this flooring solution when we build new facilities. Bengt says that right now they are casting the floor in their new premises in Lithuania, which they later will grind into an HTC Superfloor™. – What’s a great advantage with the floor is that if it would be damaged for some reason you can easily repair the floor by re-grinding it, Bengt continue. 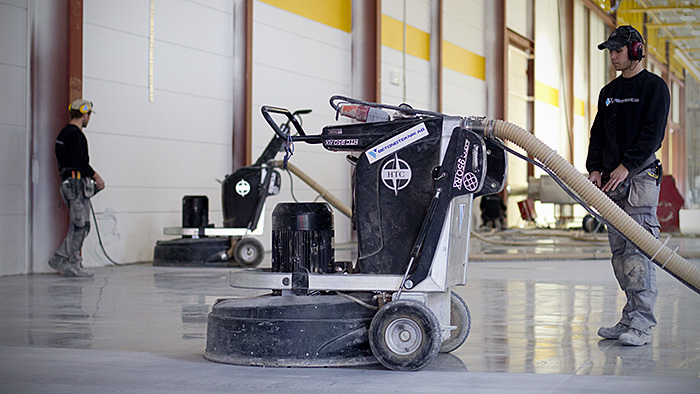 HTC certifies grinding contractors worldwide in the processes of HTC Superfloor™ to assure that the quality of all HTC Superfloor™ that are made are kept high. This, so the customers can feel comfortable with their choice and to ensure that the quality of the floors represent the high standard of the brand. 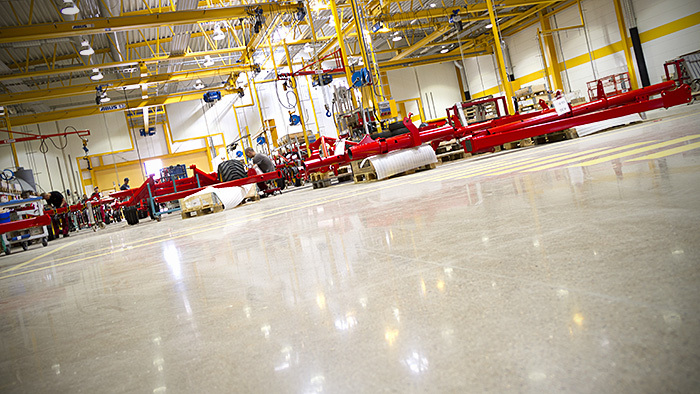 Betongteknik AB from Vikingstad in Sweden is a certified company who has been trusted to grind the floors at Väderstad-Verken. At the time of this article they are just about to start an additional 7000 sq.m. project in the facility. - We are really happy that Väderstad-Verken has chosen the 7-step HTC Superfloor™ process. 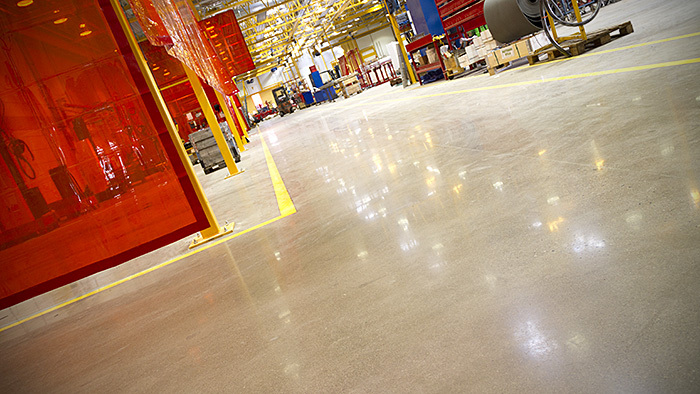 This gives them the very best treatment for their floors, says Jim Jacobsson from Betongteknik. – But it’s important that the flooring contractor knows which diamond tools are most suitable for the type of quality of the concrete floor that will be grinded. One of the mottos for Väderstad-Verken, which originates from the company’s founder Rune Stark, is “make it to last”. We can see that even when it comes to flooring solutions they have had this in mind. And the floor is also guaranteed to last for a great portion of dancing, something the staff has experienced during the festive inauguration. 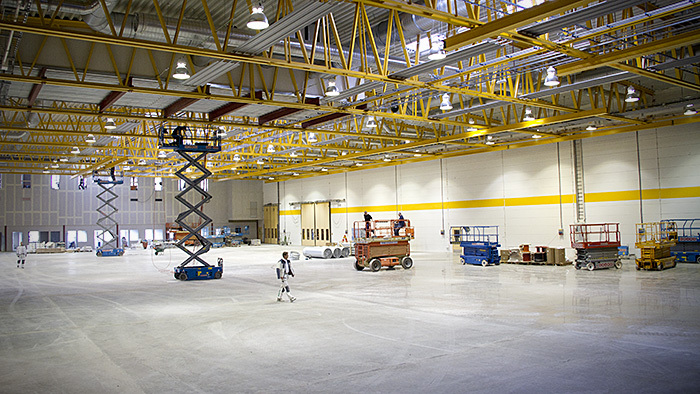 Properly cared for, the floors will shine also at Väderstad-Verken’s next 50th anniversary! Facility in Väderstad: Approximately 50,000 sq.m. Square meter of HTC Superfloor™: Approximately 20,000 sq.m.